The good news is that no additional tax forms are required for a Health Care FSA or Limited Health Care FSA. However, if you plan to itemize medical expenses on your Federal income tax return, you must remember to deduct any amounts you were reimbursed from your Health Care FSA from your expense total to avoid double dipping. If you participate in the Dependent Care FSA, you will need to complete Form 2441 when you file your federal return. On Form 2441 you will report the total amount of Dependent Care contributions (available in box 10 of your W-2), any amount carried over from the prior tax year that was used in the current tax year, and any amount you contributed in the tax year that was unused and will either be forfeited or carried over to the next tax year. If you are a Flores Dependent Care FSA participant, this information will be available to you on the Flores247 Web Portal. If you or someone on your behalf (including your employer) contributed to an HSA in 2018 or you received an HSA distribution, you will file Form 8889 when you file your federal taxes. 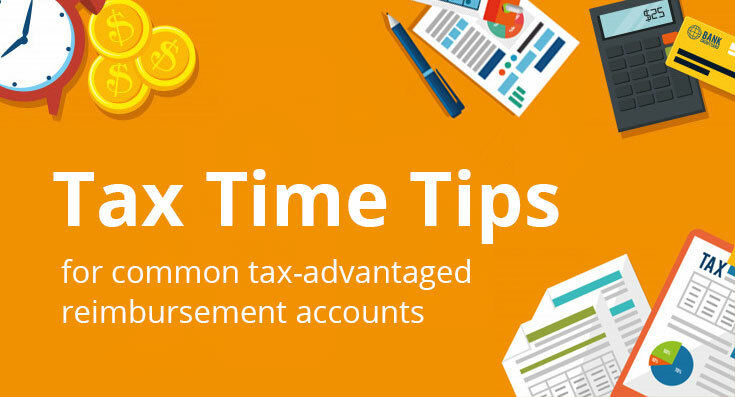 HSA contributions can be made from Jan 1st through the federal income tax filing deadline. For the 2018 calendar year, that would be Jan 1, 2018 – April 15, 2019. If you wish to contribute prior to the April 15, 2019 deadline, be mindful of your HSA custodian bank’s processing periods; your request may need to be submitted several business days in advance in order to be processed in time to meet the deadline. Employer contributions and pre-tax salary reduction contributions will be reported in box 12 of your W-2. Your HSA trustee has until May 31st to send you Form 5498-SA, which reports your total HSA contributions in the prior tax year. The final Form 5498-SA is not sent until after the tax filing deadline, so HSA accountholders must rely on W-2s and account statements to report contributions on Form 5498-SA. If you determine you made excess contributions beyond the IRS limit for your coverage level (In 2018, $3,450 for individual coverage, $6,900 for family), you can withdraw excess contributions (and related earned income) before the federal tax filing deadline to avoid taxes and a 6 percent excise tax on the excess contributions. You will receive a copy of Form 1099-SA by Jan 31 from your HSA trustee. HSA accountholders should use Form 1099-SA to report total distributions in the prior tax year on Form 8889. Form 1099-SA does not report if distributions were made for eligible expenses. It is the accountholders responsibility to track and document expense eligibility and, if necessary, report distributions for ineligible expenses. HSA administration/maintenance fees withdrawn from your account by a third party administrator, trustee, or custodian are not reported as distributions from the HSA. If you received an HSA distribution for an ineligible expense, the distribution will be subject to ordinary income tax and in some cases a 20 percent penalty. If you are 65 or older, disabled or you pass away in the same year the distribution is made, the 20 percent penalty may not apply. A health reimbursement arrangement is an employer-funded plan that covers certain qualified expenses based upon a schedule determined by your employer. Since it is funded wholly by your employer, you do not need to pay taxes on any reimbursements you received from the plan or report them on your income tax return. However, if you plan to itemize medical expenses on your Federal income tax return, you must remember to deduct any amounts you were reimbursed from your HRA from your expense total to avoid double dipping. The content in this article does not constitute legal or tax advice and is for general information purposes only. No action should be taken in reliance upon the information provided in this article. Always consult with your legal counsel or tax preparer for guidance on your specific tax situation. Flores is a leading national administrator of tax-advantaged reimbursement plans including Flexible Spending Accounts (FSAs), Health Savings Accounts (HSAs), Health Reimbursement Accounts (HRAs) and Commuter Benefit Accounts (CBAs). In addition to these account-based benefit options, they also handle COBRA and other direct bill services to meet the compliance needs of the employers they serve. In 2018, Flores introduced life.balanced. Reimbursement Accounts (LBA), an affordable post-tax lifestyle reimbursement account for the culture-driven employer. Based in Charlotte, NC, Flores has emerged as the leader in the CDHP market through a service model founded upon innovative technology, dedicated professionals, and an uncompromising commitment to superior service. For more information, visit the Flores website and follow them on LinkedIn.